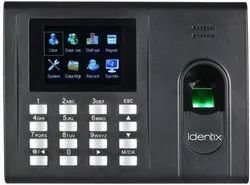 Pioneers in the industry, we offer f12 fingerprint reader, x990 fingerprint time attendance system, k21 pro time attendance with access control, f18 fingerprint access control system, k30 time attendance with access control and f18 biometric access control system from India. We feel glad to introduce ourselves as the leading supplier of excellent quality F12 Fingerprint Reader. It is used to monitor the entry and exit of persons inside a building or site. Offered reader is manufactured by our professionals using high quality components and modern technology. To ensure its flawlessness, the offered product is tested on various parameters by our quality controllers. Our precious clients can avail this reader in various technical specifications at market-leading prices. 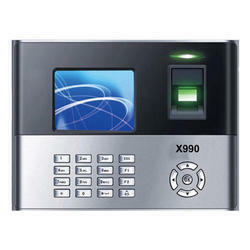 Our company is highly esteemed in offering X990 Fingerprint Time Attendance System to the clients. RFID Time Attendance System is installed in offices or workplace to maintain the attendance of the employees. The offered range is designed at the vendor’s production unit by knowledgeable professionals by utilizing quality assured components. Backed with leading-edge technology and experienced professionals, we are offering an extensive range of K21 PRO Time Attendance with Access control. It is widely used in big companies and offices where admission is not permitted for outsiders, without permission. This system is checked against different parameters of quality to deliver the flawless range to our clients. The offered system by us is made available in different customized options for various applications, highly acclaimed among the clients for its several qualitative attributes. We take pleasure to introduce ourselves as one of the leading organizations, engaged in offering a comprehensive range of F18 Fingerprint Access Control System to our clients. The offered system by us has highly demanded its reliable performance and is used to track the person for security purposes. This system is designed by our clients using high-grade components an advanced technology. Further, this is checked against numerous parameters to ensure a flawlessness range at our client’s end. Various places of high-security requirements need access cards to let the persons in. These places include the offices, companies, ATM machines, locker rooms etc. which requires a proper access card to open the entrance and allow the person to let in. We are one of the top level companies which are also providing its clients one of the most excellent quality access card control systems. These K30 Time Attendance with Access control helps the clients get reliable and trusted services for control over their access cards after installation of these access card control systems at their entrances. 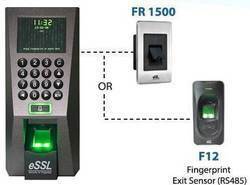 We are leading supplier of F18 Biometric Access Control System. 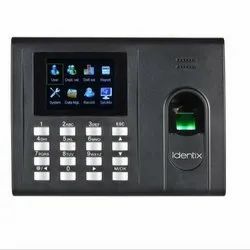 Biometric Access Control System that we offer are demanded in large quantities across various institutions, organizations & multinational companies. These access and attendance systems are in accordance with various industrial standards. Driven by the approach of total customer satisfaction, we offer these systems as per the customized specifications of our clients. Our organization has gained recognition as a flourishing organization for providing RFID Time Attendance Access Control System. Offered access system is designed using optimum quality components and innovative technology under the guidance of vendors’ experts. The provided access system can be availed in different specifications and customized options in order to cater the demands of our clients. Besides, we offer this access system to our clients at nominal prices. 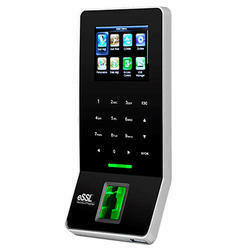 Our Ultra Thin Fingerprint Time Attendance and Access Control System are compact, standalone and are reasonably priced. 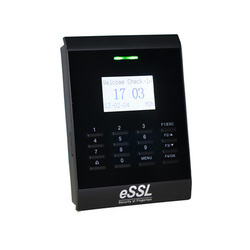 It is suitable for and can be used in Offices, Banks, Government Offices and other location for authorized access. The devices can be connected to a PC or network. 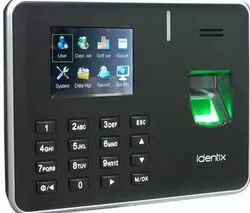 Finger, RFID Card and Face Recognition based Access control devices are available with us. Devices are tested and ready to use. It can be installed within a few hours. Our devices come with an electromagnetic lock and other accessories. It is widely used in Offices, Server rooms, Homes, Airports, Defense, Data centers etc. 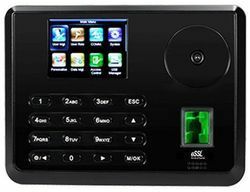 Ø Finger-Print & RFID card Reader based Time & Attendance System. Ø Identification Speed <= 1 sec. Ø User Capacity /Finger-Print Templates: 800. Ø Transaction Storage Capacity: 80,000 Logs. Ø Communication - TCP/IP, USB.